Lacey: Oh, honey. Nope! Slingshot elbow! Candice: Nope! Step up Owenzuigiri! Basement single leg dropkick! Charging back elbow in the corner! Second rope flying Flatliner! Lacey: ...kickout? Kickout! I kicked out, of course I did. YOU'RE A LOSER, JUST LIKE YOUR HUSBAND! Lacey: PUNCH! And now you're going to be a loser! #14: When you're at the top they will always try to chop you down. They'll talk, speculate, and lie all to steal the spotlight for themselves. Maybe it's to cover their own tracks and hide their own guilt. Velveteen Dream's name is fitting since he seems to be living in a dream world where I attacked Aleister Black, but we both know what it is that he...experienced. So my advice to Velveteen Dream is to be careful; keep your theories and accusations to yourself, and stay out of The Champ's spotlight. I'm the man who ended the fairy tale and exposed the mystique and if Velveteen's not careful? I'll be the one who turns the Dream into a nightmare. Tony Abs: Why am I here, Cathy? It's simple: NXT has top competition, and weekly on 205 Live I prove I'm the Premier Athlete. 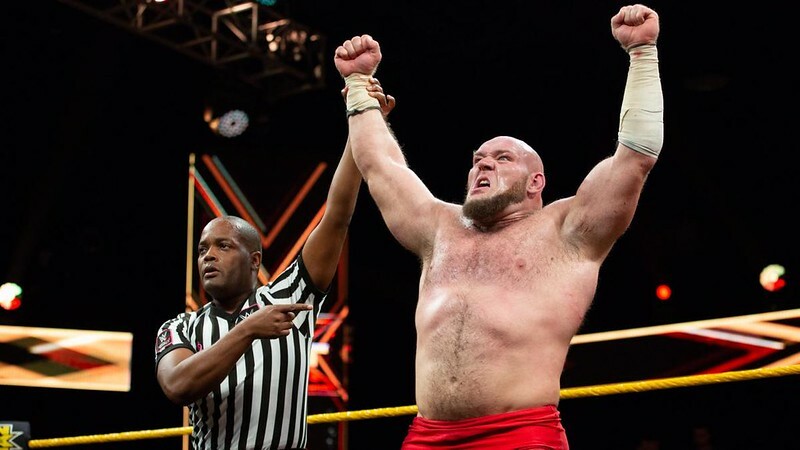 So it's a great day to Take Over NXT, and I have eight reasons why! Apparently Not: Uh uh! It's MISS Belair, Cathy. Cathy: What do you think about the rematch you'll have with Nikki Cross in two weeks. MISS BelAir: Whatever game she's talking about, I don't play games. Forget that scraggly haired weirdo, I'm un de fea ted. So I'm going to have to embarrass her now, because I'm un de fea ted. UN. DE. FEA. TED. (from offscreen) UN! DE! FEA! TED! Tony: Wrong! Cut off forearm! Johnny: Roll through kick! T O P E! Johnny Freaking Wrestling! Tony: Gutbuster! Boddyscissors! Double jump moonsault! Tony: But I landed on my feet! Johnny: Or did you land on your head slingshot DDT! Lefts! Step up Owenzuigiri! Superman spear! Tony: Kickout! Three hit combo! One-armed buckle bomb! FOSBURY FLOP! 450! Full Sailors: NXT! NXT! NXT! Tony: Facewash! German into the corner! Running basement Meteora! Johnny: Lefty lariat! GargaNo Escape! You go tap now! Full Sailors: NX3! NX3! NX3! EC3: One Percent People's Elbow! EC3: Second rope dropkick! Takedown! EC3: aggggghhhhhh German release suplex! Avalanche! " Steamboat press"! Lars: Freak Intentional into the apron!